Risdall McKinney Public Relations (RMPR) has promoted Laura Wifler to account executive. Wifler, who joined RMPR full time in May 2010 after serving as an intern at the agency, works with a variety of the agency’s consumer and business-to-business clients, including bd’s Mongolian Grill, Star Tribune, General Mills, Minnesota History Center and Hearing Components. 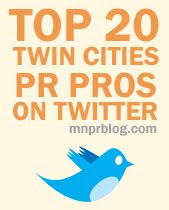 Wifler is also actively involved in the Minnesota chapter of PRSA; serving on the Classics Committee. 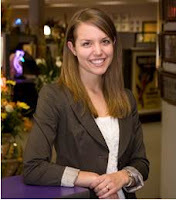 Wifler graduated from Iowa State University with a bachelor’s degree in Journalism and Mass Communications and minors in English and technical communication in December 2008. Prior to joining RMPR, Wifler interned at Blue Cross Blue Shield of Minnesota and the Des Moines Register.